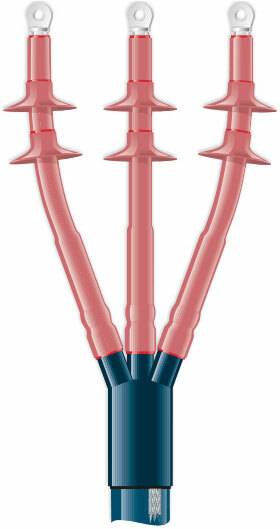 Our heat shrink cable termination and jointing system have been developed after intensive research. Heat shrink cable components testing and performance: All major components used for assembly of our termination and joint are tested as per the provision of various National and International standards according to internal quality program. Tracking Resistant: Heat shrink terminations will not track even under the most adverse atmospheric pollution and highly polluted atmosphere. High Electrical Strength: The materials are proven to outperform basic insulation level of system and can withstand repeated flashover and higher impulse voltage levels. UV, Ozone, SO2 Resistant: Protective sleeves fully prevent termination and joint from UV degradation even when exposed to Ozone, SO2 and other Industrial Pollutants. Selected heat shrinkable stress control sleeves have been used to control electrical stress at the end of insulation shielding. Stress control phenomenonismade understandable by the diagrams.